Ah, coffee! For many of us, it’s a miracle in a cup, capable of changing mood, clearing our minds and lifting our energy. A shot of espresso before a workout boosts your performance and helps burn fat. And did you know it’s also amazing for your skin? The tasty bean has many abilities – mainly thanks to the same chemical that gives us our morning kick: caffeine. 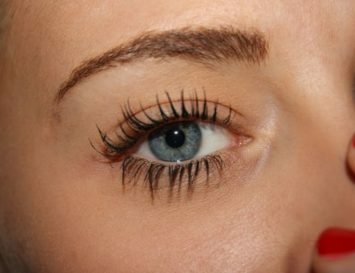 When applied topically, caffeine constricts the blood vessels and reduces swelling, including depuffing that problem area under the eyes. 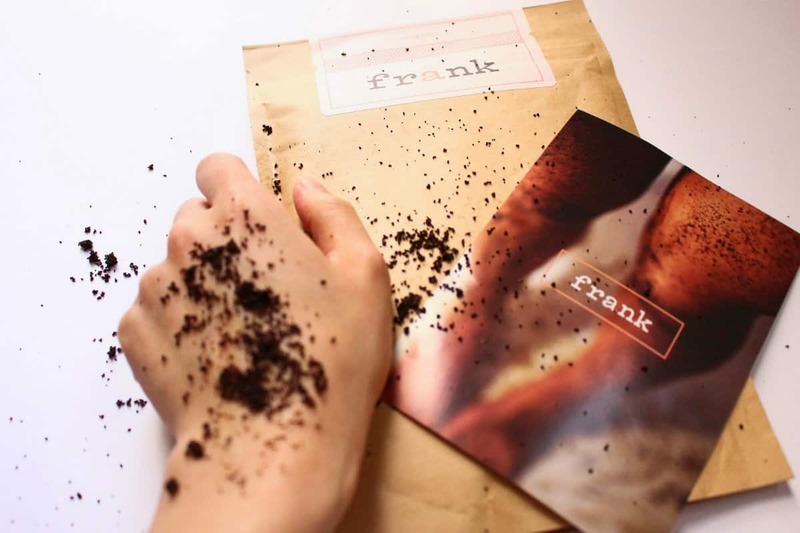 According to Organic Authority, coffee grounds should never be thrown out, because gently rubbing the grounds on your skin can remove dead skin cells and brighten your complexion – especially if you make a paste of it with olive oil. Add some sea salt, and the same grounds can act as a diuretic, and can even banish cellulite when applied topically. That’s a hard working bean! If you prefer to buy products that are nicely packaged and that contain benefits beyond simple java, we’ve found 10 Coffee Based Beauty Products that will keep your skin and hair steaming hot! What can I say? This works. You can actually feel it working. It tingles when applied to the skin, and you can also actually feel your skin tightening right after you put it on. The formula has caffeine at its base, which targets fat and activates micro-circulation to firm the skin, as well as Gotu Kola, which stimulates circulation and blood flow underneath the skin, which helps its suppleness and hydration. This cream is such a hit, many clinics are actually using it in conjunction with – or even instead of – laser and radiofrequency treatments for cellulite. Skin by Ann Webb Coffee Cherry Moisture Drench Cream is a peptide cream combining argireline (which many feel is a Botox alternative!) 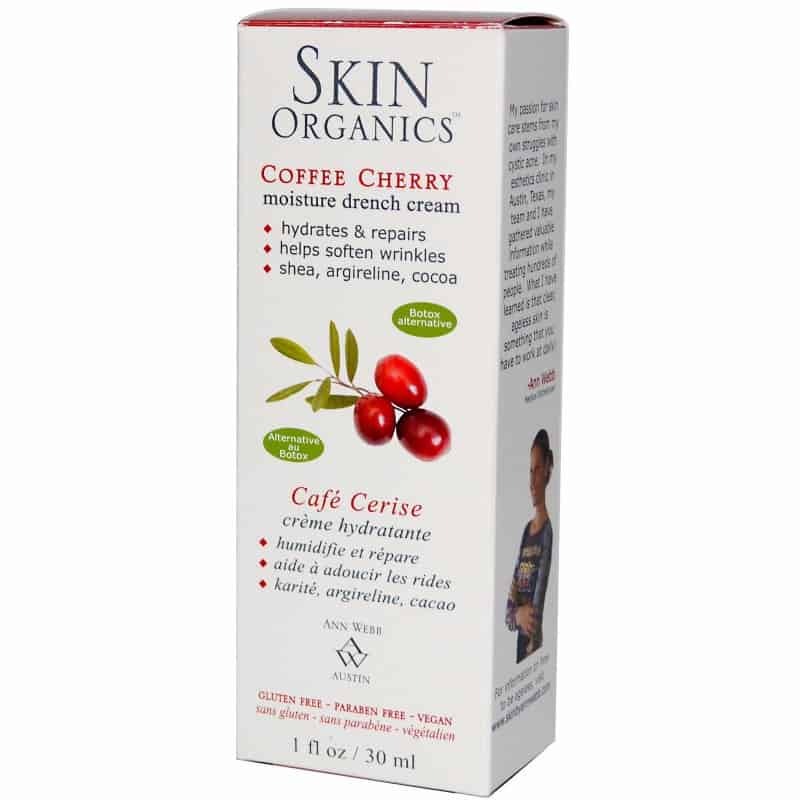 with shea butter and five plant oils, including coffee cherry, which is the natural berry from which we get coffee – for super hydration. It deeply penetrates and repairs damaged skin and fills in wrinkles for as long as it’s on your face. The argireline, a peptide derived from natural proteins, gently helps to soften facial muscles and prevent wrinkles. This natural exfoliant contains everything you want not only in a scrub, but maybe a breakfast, too! It’s comprised basically of coffee grounds and sugar. 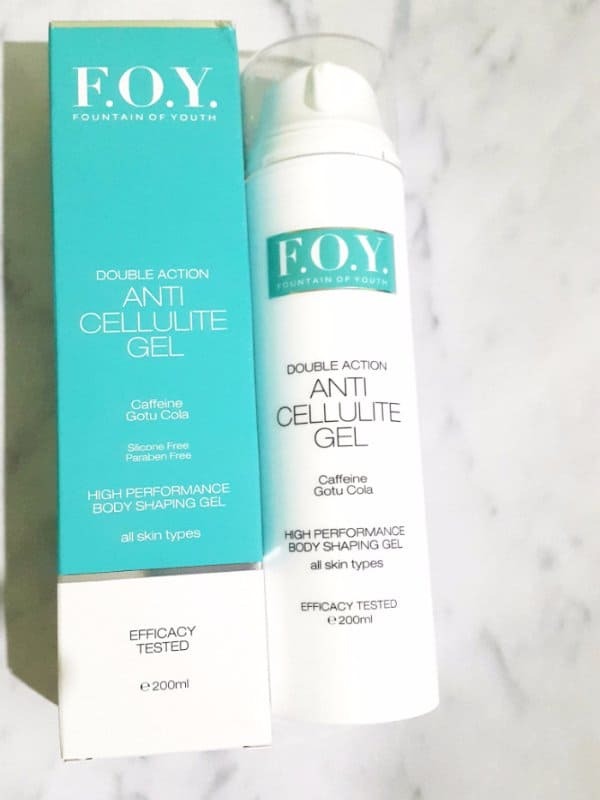 This is an anti-oxidising product that will get to work on any pesky cellulite. 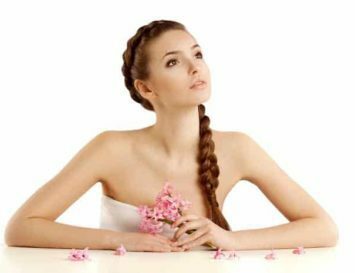 The high caffeine content stimulates blood flow to tone and tighten skin; for best results, keep it on for 5-10 minutes to allow the ingredients to work their magic, then rinse off. 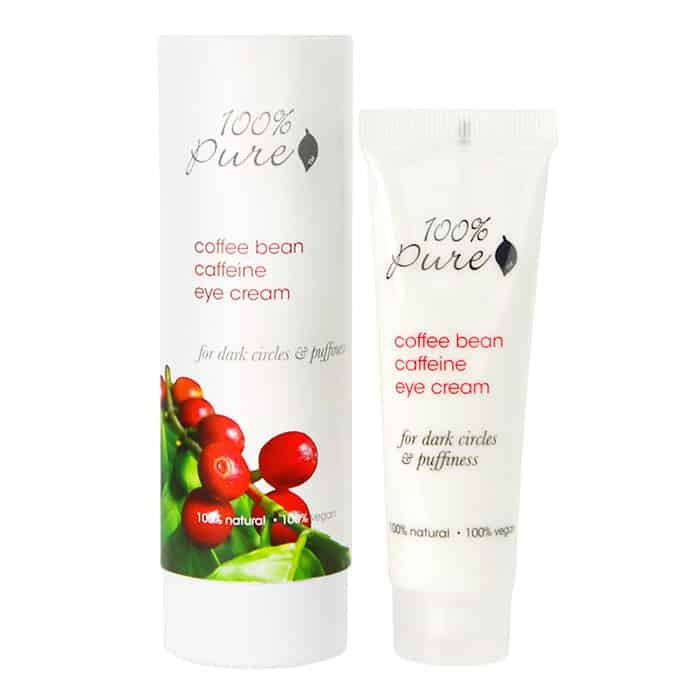 100 Percent Pure’s online cosmetics shop features products and skincare with no synthetic chemicals, no artificial fragrances, no parabens, no petrochemicals or any other toxins. As the name says it is 100 % purely organic. The caffeine eye cream aims to give your face its maximum benefits, without irritating any skin type. Formulated with high performing antioxidants, naturally occurring vitamins and essential oils, the brand’s products will not only give you a picture perfect finish, but they’ll also improve the health of your skin in the long run. Java Skincare began when Stephanie Additon was sipping an exquisite cup of artisan roasted coffee at her husband’s coffee shop, Updike’s Newtowne, in North Kingstown, in Rhode Island. This was the occasion that inspired her to explore the coffee’s topical benefits in skincare. Java Coffee Infused Skin Care products marry the rejuvenating properties of green coffee (one of nature’s most powerful antioxidants), with a unique blend of organic essential oils (like argan, pumpkin, and rosemary) that are proven to nourish, repair and protect the skin. 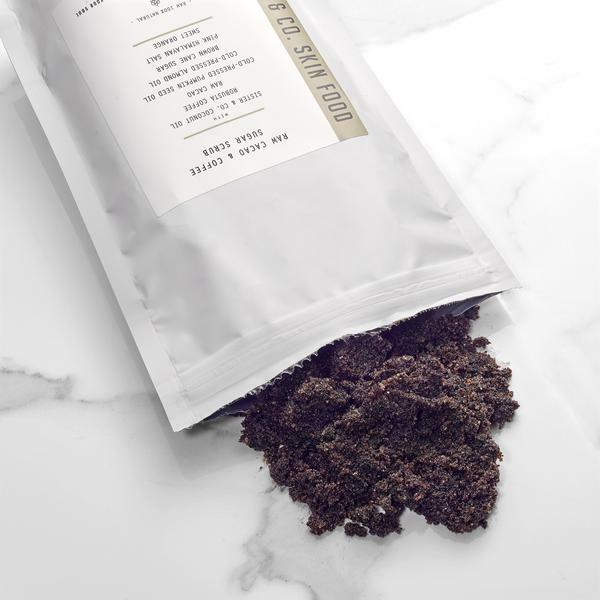 This Australian-made, all-natural coffee-based skincare targets cellulite, stretch marks, psoriasis, eczema and other skin conditions to leave your skin feeling soft and supple. Frank’s special blend of original ingredients will scrub away dry, flaky skin and target pesky skin conditions to rejuvenate them fully. 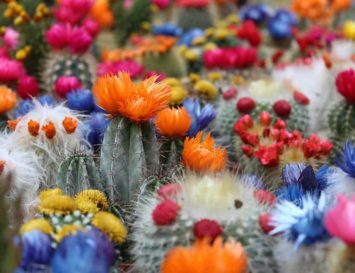 Do you tend to retain water? This cream can help! Using the power of caffeine and green coffee plant extracts, it tones and firms skin to reduce the appearance of cellulite in your hips, stomach and anywhere else on your body. It’s ingredients are formulated to boost the breakdown of fat cells and diminish excess water build up in cells. If you love coffee for the taste, you’ll love this lip balm! Hurraw balm is made with a hefty pull of cold pressed coffee bean oil, which is added to their fresh pressed Californian almond oil to give your lips a soothing treat. 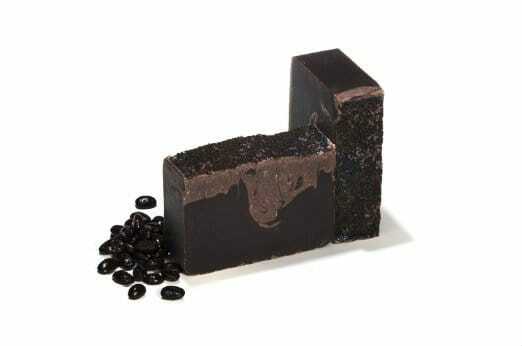 To make it even more scrumptious, Hurraw adds raw chocolate to give the balm a mild coffee-choco flavour. It’s like having a mocha on your lips! Designed to increase skin’s firmness, this rich formula is infused with an exotic blend of African oils like Marula, Camellia, and Birrea Seed to help lock in hydration all over your body. But and of course, it also comes with a healthy dose of coffee seed oil to help firm your skin, too. No wonder it won Allure’s Reader’s Choice Award two years in a row! This organic coffee soap bar has a double shot: it’s made from fresh brewed Columbian coffee and added ground coffee powder as an exfoliant. The unique combination of fragrance and benefits of coffee will not just get your energised for the day, but is also great for your skin. Artisanal soap is always a good choice, since it is handcrafted the good old fashioned way, using solely natural ingredients such as coconut oil, rice barn oil and freshly brewed Columbian coffee.